How do you introduce spirituality in business? It’s elementary – start with the ABC’s. 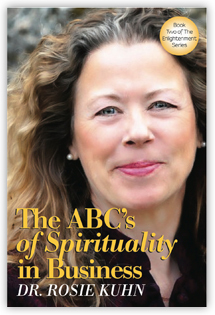 The ABC’s of Spirituality in Business provides a powerful yet elegant basis upon which to build a strong spiritual presence in the workplace. Built on wisdom, kindness and compassion, it explores 26 core ideas related to spirituality. No dogma or religious rhetoric; just a clear articulation of essential truths found in every religious and spiritual tradition. Spirituality in the workplace was recognized as a mega-trend in 2010 by world-renowned author and speaker Patricia Auberdine. 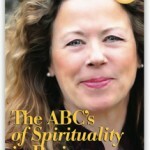 In 2012, we are perched on the edge of a paradigm shift, and The ABC’s of Spirituality in Business gives us the platform from which to launch the fulfillment of the human spirit.